Specializing in state-of-the-art oyster bars, Aquatic Culture provides seafood for parties and events of all sizes. 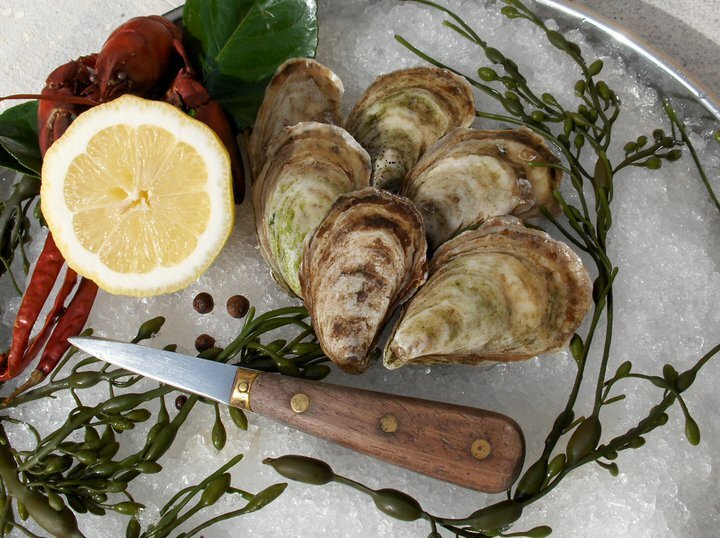 We offer delectable menus customized for any occasion; imagine raw oysters shucked to order, barbecued oysters with a dab of smoky chipotle chile butter, poached prawns dipped in a crisp cocktail sauce, and sizzling scallop fritters with aioli and lemon. Aquatic Culture seafood bars are self-contained, self-sufficient, and designed to leave no trace. Shellfish is served on a bed of shaved ice in a customized, leak-free stainless steel tray, while our other raw bar items and cooked seafood bites are thoughtfully prepared to be passed among guests or enjoyed from a stationary serving display. 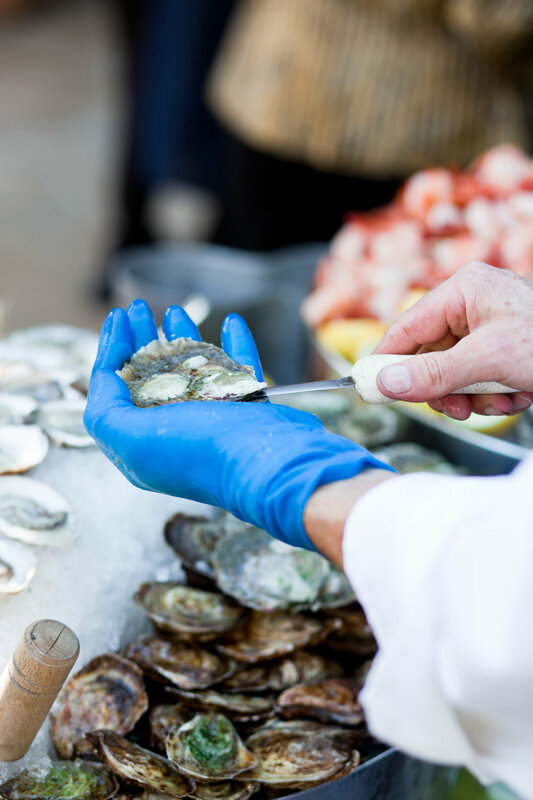 Our unique look is stylish, polished, and professional, and includes everything required for shucking, serving and presentation. We proudly partner with local farms and vendors who value sustainability, small-scale production, and excellence from start to finish. When we’re not serving incredible seafood, we regularly travel and attend events to eat, share, and learn from the best. As I ate the oysters with their strong taste of the sea and their faint metallic taste that the cold white wine washed away, leaving only the sea taste and the succulent texture, and as I drank their cold liquid from each shell and washed it down with the crisp taste of the wine, I lost the empty feeling and began to be happy and to make plans.